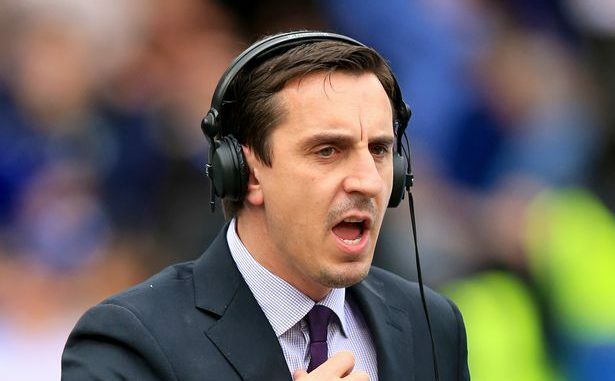 Manchester United legend Gary Neville has explained how the Red Devils will be able to beat both Arsenal and Manchester City during the upcoming round of fixtures. Manchester United have enjoyed a decent season so far but with Manchester City running away with the lead at the top of the Premier League table, the Red Devils have very little room for error if they are to close the gap on their rivals. Now Manchester United probably face the most crucial period of their campaign as they square off against Arsenal and Manchester City in successive matches and it goes without saying that Jose Mourinho’s men need good results from both encounters in order to keep their title hopes arrive. Many are unsure as to whether United will be able to get the desired results against Arsenal and Manchester City due to the fact that Mourinho tends to adopt defensive tactics in games against the big sides. Nonetheless, club legend Gary Neville is fully confident that United are capable of earning good results against both Arsenal and Manchester City but warned that his former side need to take the game to their opponents, with Romelu Lukaku spearheading the attack, in order to stand a chance of winning.